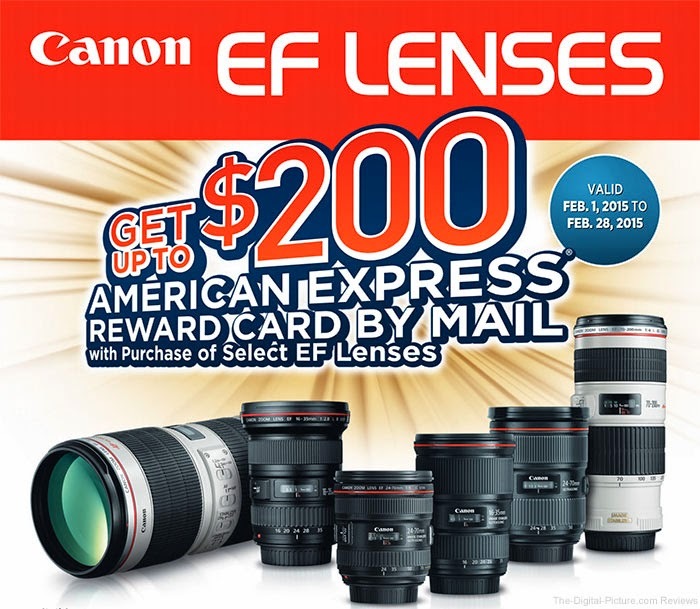 Canon has announced new rebates on many lens starting Feb. 1 through Feb. 28, 2015. Many of the rebates are the mail-ins, but some are instant. The price at checkout will reflect the instant savings. In addition to many qualifying lenses, the EOS-6D, EOS-7D MK II, EOS-7D, EOS-70D and EOS-60D cameras (any body/kit) also qualify for a $250 rebate when purchased with the EF 70-300mm IS USM Lens. Additional rebates are also available when purchasing EOS camera bodies with the Canon PIXMA Pro 100, 10 and 1 printers.